This is an another hot and tasty side dish of India. Normally, chutney makes important part of Indian meal. This recipe is made from curry leaves and green chilly. If you are not comfortable with green chilly, you can use red chilly instead of green chilly. Curry leaves are used in dishes as high valued seasoning in India and other neighboring countries. 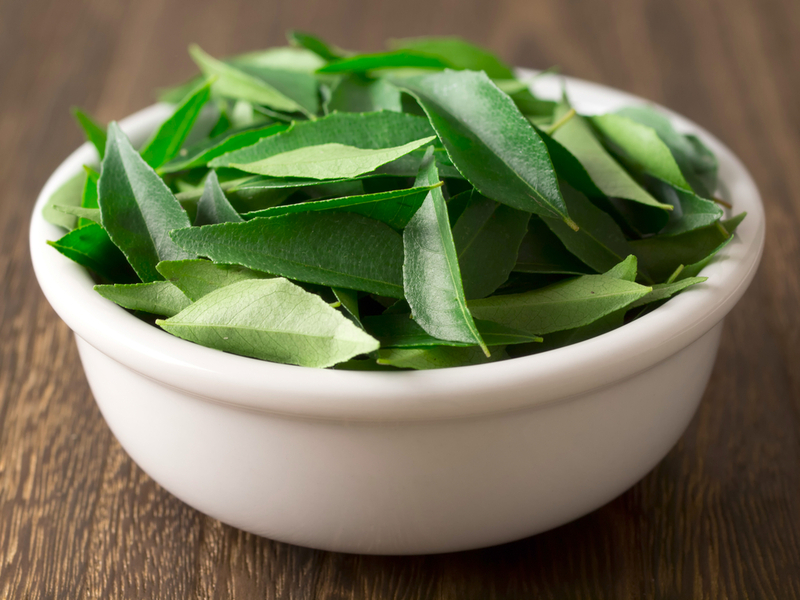 Curry leaves, not only provide a distinct aroma, taste and flavor to the dish but also have medicinal values. The most importantly, it helps in easy digestion of food and controls weight gain. Curry leaves chutney is served with main course, like jawar roti, chapati, paratha or rice. Here, I am preparing this chutney using raw curry leaves, if you don’t want to use raw leaves, you can slightly roast them (dry roast). It can be prepared instantly, it may take, hardly, 5 minutes. I, always, try to make the cooking easy, I tried to make this recipe as easy and simple as possible. Let’s see the preparation of this hot and delicious chutney. There is another method of washing green leafy vegetable. Instead of salt you can use cooking soda, it helps in cleaning vegetable completely amd making germ free and muddfree. Place cleaned and washed curry leaves in a bowl. Wash and clean green chillies and add it to bowl. I have mentioned in my earlier post about preparation of tamarind paste. You can refer it for tamarind paste or else you can purchase it from market. It is readily available in the market. It is better to prepare it in home. It will lost long without any preservative, it you preserve it in refrigerator. Place a kadhai on medium flame. Pour ground nuts to it and roast them until they get roasted completely. Remove from heat and place them in a bowl. Slice the whole coconut in to small pieces and grind them into fine powder. If it is more than requirement, you can keep it in a box and store it in refrigerator. Take a mixer jar, pour curry leaves, green chilly, roasted groundnuts, coconut powder, tamarind paste and salt, if you are using garlic, you can add 4-5 cloves of garlic. Add 1/4 cup of water and grind it to a fine paste. If necessary, you can add a little bit salt and tamarind paste to it. Takeout the paste to a bowl and keep it aside. Heat a small pan on medium flame, pour cooking oil to it. Add mustard seeds, wait until they split, now add cumin seeds and hing to it, remove it from heat immediately. Because when mustard seeds start split means temperature of oil is very high, but cumin seeds require very less heat to split. If you leave it on heat after adding cumin seeds, the whole seasoning will get burnt. Add it to the chutney and mix it thoroughly so that chutney should absorb all the oil into it. Now the tasty and hot chutney is ready to serve. You can serve it with hot rotis, chapatis, dosa or idli. Because it is prepared without cooking, the ingredients used are raw, it can be stored for 7-10 days, it will not get spoiled. Try it once, you will love prepare it again and again.